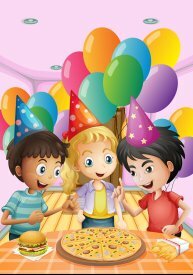 Looking for birthday party ideas in San Jose ? Make it a pizza party! Pizza is the perfect food for a child’s birthday party. A couple large deep-dish Chicago pizzas is all it takes to feed an army of hungry party guests. A pizzeria is also the perfect stop before or after a birthday event like laser tag, miniature golfing, or swimming. When looking for a pizza place in the Bay Area to host your child’s birthday party, make sure the pizzeria has a banquet room and experiencing hosting pizza parties. And if you want to put a unique spin on your child’s birthday party, forgo the cake and order a pizza cookie instead. Also known as a “cookieza,” this large buttery chocolate chip cookie is baked when you order it and topped with vanilla ice cream and caramel sauce. Depending on how many guests you will be feeding, you might want to get in touch with the pizzeria beforehand to plan your menu and place your order. This will avoid confusion during the party and will prevent fighting or bickering between the kids about what type of pizza they want to get. Whoever said pizza isn’t good for you obviously hasn’t heard about the health benefits of dairy. Studies have shown that incorporating at least three services of dairy in your diet on a daily basis can reduce your risk for diabetes, hypertension, and other chronic illnesses and conditions. This short clip talks more about the health benefits of dairy products like milk, cheese, and yogurt and why diary is part of any healthy diet. You know what food has lots of cheese? Pizza! This is especially true of Chicago-style deep-dish pizzas, which are layered with thick slices of creamy mozzarella and topped with shredded parmesan. 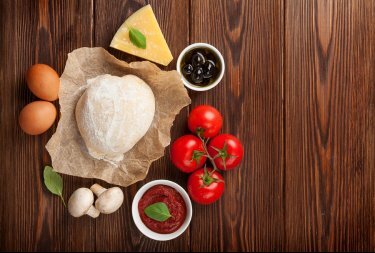 If you want to get more diary into your diet but can’t stand a glass of milk or a cup of yogurt, visit a pizzeria in San Jose that serves up delicious deep-dish pizzas and get your daily recommended amount of dairy. Lunch dates are a great opportunity to get to know a new potential partner without the formality of dinner or the distractions of a nightclub or movie theater. Going out to lunch is a casual, no-pressure way to sit and chat with someone you are romantically interested in. There are plenty of great options for a lunch date in San Jose , but planning the perfect lunch date is about more than picking the time and place to get pizza. Here are some helpful tips to make sure your lunch date is an appetizing success, no matter where you choose to eat in San Jose. Before you ask someone out to a lunch date, try to find out what type of food the person is fond of. Walking up to someone and suggesting a local pizzeria, for example, will show a great of interest and thoughtfulness on your part. Knowing your date’s food preferences beforehand will also give you time to research the best restaurants in the Bay Area that satisfy his or her cravings. Even if the restaurant you select isn’t the most casual joint in town, your demeanor and appearance should be. One of the main benefits of a lunch date is how informal it is, which allows both people to relax and chat without the added pressure of a fancy affair. Dress casually, act casually, and no matter what you’ll have a great time during lunch—and your date probably will, too. In the event that your lunch date goes well—and it will, we believe in you—think of something to do after eating. It shouldn’t be very elaborate or expensive; a stroll around town after a few slices of deep dish pizza or ice cream in the park are perfect post-date activities. Don’t mention this activity to your date at the start of lunch, that way you can forgo it if the date doesn’t go as well as you had hoped or expected. There are a few ground rules for what makes a good deep-dish pizza. The crust should be flakey and buttery, and a chunky red sauce and tons of mozzarella cheese are essential. After that, the next most common question about Chicago-style pizza is, “how do I eat it?” Deep-dish pizzas generally require a knife and fork. If you go to a pizzeria in San Jose that makes a mean deep-dish pizza, you’ll have a hard time picking up a slice with your hands. But there’s certainly no one stopping you from trying. At the end of the day, the most important rule of eating a deep-dish pizza is this: There are no rules! Eat it with a fork or pick it up with your hands, as long as you enjoy every bite you’re doing it right. One of the best Chicago-style pizzerias in San Jose is Pizza Chicago. The pizza experts at Pizza Chicago will show you how to enjoy a deep-dish pizza the Chicago way, or at least bring you lots of napkins if you prefer to eat it another way. Forks vs. knives. Meat vs. veggies. I’m right, you’re wrong. This is basically every argument between carnivores and vegetarians reduced down to its most basic elements—with the exception of maybe a few ideological points. 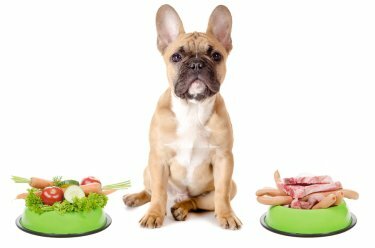 Nevertheless, it’s true that carnivores and vegetarians rarely see eye-to-eye when it comes to picking a lunch or dinner spot. Thank goodness there’s pizza. If you’re struggling to make peace with the vegetarian or carnivore in your life, put down the utensils, stop the shouting, and visit your local San Jose pizzeria. Even better, make sure you go somewhere that specializes in deep-dish Chicago pizzas . Here are some of the reasons why pizza is the perfect compromise between ideologically-opposed eaters. The most obvious reason why pizza is the perfect compromise for carnivores and vegetarians is the fact that pizzas can be split. Half-and-half orders are not uncommon, though you may need to pay a little bit extra for the opportunity. And if there’s a large party of both carnivores and vegetarians, no one needs to worry about being left out or not being able to eat anything on the menu since groups can get together and order their own meat or veggie pizza. With so many fresh and delicious toppings to choose from, it’s no wonder vegetable lovers love pizza. 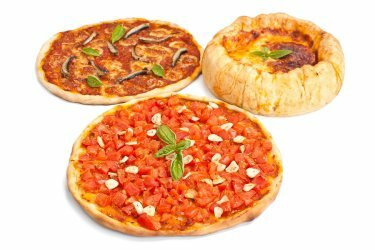 There are tons of classic vegetable toppings to choose from, including onions, mushrooms, black olives, and bell peppers, but some pizzerias offer additional options like Brussel sprouts, artichoke hearts, zucchini, and sun dried tomatoes. Meat and pizza go together like, well, meat and pizza. If you’re a carnivore, you can get your deep-dish pizza stuffed with pepperoni, ham, sausage, meatballs, and even chicken. A meat lover’s pizza will typically have all of these ingredients, plus a few veggies for good measure. Just try not to enjoy your meaty slices too much in front of a vegetarian. Celiac disease is a condition that affects people who are gluten intolerant, or gluten sensitive. Gluten is a type of protein found in grains such as wheat, barley, and rye. Kids and adults who have celiac disease may become nauseous after consuming gluten, and can also experience weakened bones and stunted growth over time. Watch this video to learn more about celiac disease and how to tell if your child is gluten intolerant. If your child does have celiac disease, it means you’ll need to be more careful about the foods he or she consumes. Fortunately, there are plenty of delicious gluten-free options so your child doesn’t have to feel deprived of his or her favorite foods. Pizza Chicago in San Jose serves up some of the best gluten-free deep-dish pizzas in San Jose . You can dine in, carry out, or have a delicious gluten-free Chicago pizza delivered right to your door. How do you like your pizza? If you like a thick, flaky crust, pounds of toppings, and a chunky tomato sauce, you would love the pizza in Chicago. Fortunately, you don’t have to take a cross-country flight to enjoy Chicago-style pizza. You can find pizzerias in San Jose that specialize in this time-honored process of pizza making. But what exactly does that process entail? And why are deep dish Chicago-style pizzas so darn delicious? 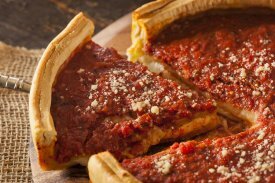 This article takes you into the kitchen and gives you a step-by-step look at how Chicago deep-dish pizzas are created. Dough – The first step is to pat out a flakey, buttery crust by hand on a well-seasoned deep-dish pizza pan. The dough is raised up high on the sides of the pan to hold in the incredibly amount of ingredients that go inside a traditional Chicago-style pizza. Cheese – If this were a thin-crust, NYC-style pizza, this is where the sauce would come in. But this ain’t a New York pizza, is it? The second step of making a deep-dish pizza is to layer thick slices of mozzarella cheese directly on top of the dough. Toppings – After the cheese is properly layered (and extra cheese is added per your request) the “toppings” are put into the pizza. It’s really more appropriate to say “ingredients” since they are incorporated into the pizza beneath the chunky, saucy surface. Popular deep-dish ingredients include onions, mushrooms, spinach, green pepper, and sausage. Sauce – We’ve mentioned the pizza sauce a few times by now, but it bears mentioning just one more time. Deep-dish pizzas call for a rich and chunky tomato sauce that features a blend of grated parmesan cheese and other spices. The sauce goes directly on top of the cheese and “toppings” to produce a warm, gooey, and delicious center after baked. More and more people are adopting gluten-free diets due to the amazing health benefits that have been discovered as a result of avoiding gluten. Whether you suffer from Celiac disease, gluten sensitivity, or are gluten intolerant, gluten-free eating will relieve you of uncomfortable and dangerous symptoms. With the advent of education on the advantages of gluten-free diets, it is much easier to find delicious food that is available in gluten-free forms. Gourmet pizzerias in San Jose even serve amazing gluten-free pizzas. Watch this video to learn more about gluten and how it can affect your body. Noah Sterling with Mashable explains which foods naturally contain gluten, which processed foods contain gluten, and how a gluten-free diet can benefit you. While the majority of people love pizza, it often inspires heated debates among family, friends, and even strangers. At some point in your life, you’ve probably found yourself defending your position about which local pizzeria is the best, or what pizza toppings are the most delicious. The ultimate debate, however, has always been whether thin-crust New York-style pizza or deep-dish Chicago-style pizza is the perfect delivery food in San Jose . Here are some facts you can use for your next pizza debate. You can tell just by the name – Chicago deep-dish pizza – that you’re going to get a significant meal. With a much thicker and deeper crust than New York-style pizza, just one slice can often fill you up. This makes Chicago pizza the best choice the next time you order food online for a group of friends from your local pizza delivery place. You can order less food to feed more people, thus saving yourself money. 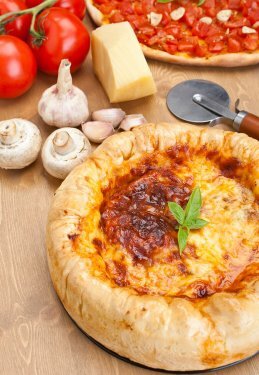 If you don’t usually order delivery food, you can still enjoy deep-dish pizza at home by hosting a homemade pizza party. 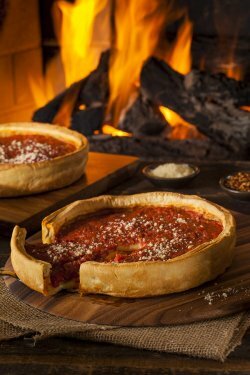 Making a homemade Chicago-style pizza is a fun, unique pizza party idea, as most people have never attempted it. Invite guests to bring their favorite pizza toppings, and provide gluten-free crust for those with dietary restrictions. Some people complain that deep-dish pizza crust is too thick, or that there’s too much sauce, or that it’s messy to eat. We eat most meals with a fork, so keeping your hands clean while eating a delicious Chicago pizza isn’t necessarily a negative thing. If you like pizza, you probably also love pizza toppings, cheese and sauce. Deep-dish pizza affords you much more space for all of these ingredients. As mentioned previously, the deep-dish pizza’s thick crust makes it a hearty meal, and you’ll save money by not needing to eat as many slices to fill yourself up.